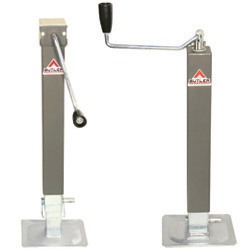 Home/Products/Light Duty/Square Jacks/Square Jacks 12,000-18,000 lbs. Butler 12,000 and 18,000 lb. 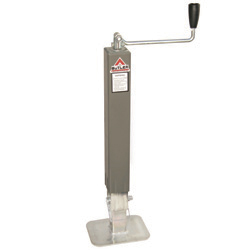 drop leg trailer jacks are designed with only the highest quality components to provide years of reliable service. Developed for gooseneck trailers, they are rugged units made from heavy duty materials and are easily installed on virtually any type of horse, utility, agricultural, or construction trailer. 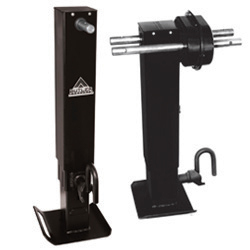 These top quality drop leg jacks can also be used as rear stabilizers for vans and stake body trucks.